This is my first Christmas in quite some time that I am not madly preparing worship services and wondering how on earth it will all happen before the big day. I love Christmas! And, to be honest, I have been anxiously anticipating what this first year without the ties of ministry might look like for me. With only a few days to go, I have been reflecting on this different advent space. What have I enjoyed? What have I missed? How am I approaching this Christmas? And how have these differences been reflected in my spiritual journey? It has still been a little chaotic, but the fact that I have time to ask these questions is a huge difference. Let me begin with what I haven't missed. No matter how hard I tried to be super organised while in ministry, Advent always snuck up on me. I would have these super creative ideas about how to journey through Advent or some craft activity to include in the Christmas Eve service, and would only end up cursing that pesky imagination for putting me under so much pressure at such a busy time of year. At the same time, I would preach each week about spending time, not rushing, being expectant and taking time to be still. Hypocrisy gone mad!! This year, I don't have any services to prepare, no church to decorate, no last minute nativity costumes to whip up, no orders to print off, messages to write for local papers and the list goes on. Instead, I am helping my family get ready for Christmas. I have been out gardening each day helping my husband cram two weeks of mowing, weeding and raking into one so that he can take some time off over Christmas. I have been offering advice to my daughter who has decided to take on some baking. I am taking the learner driver out for some practice, being a taxi mum and attempting to keep on top of the washing and other chores. We will be heading to the city to spend some time with our extended families over Christmas and I get to choose where and when I would like to attend church. I must say it is a joy not to have the same pressures of the last few years. There have been a few aspects I have missed, however. The singing is one. There is nothing that bonds people together quite like singing, particularly Christmas songs. I am hoping to make up for this a little on Christmas morning. 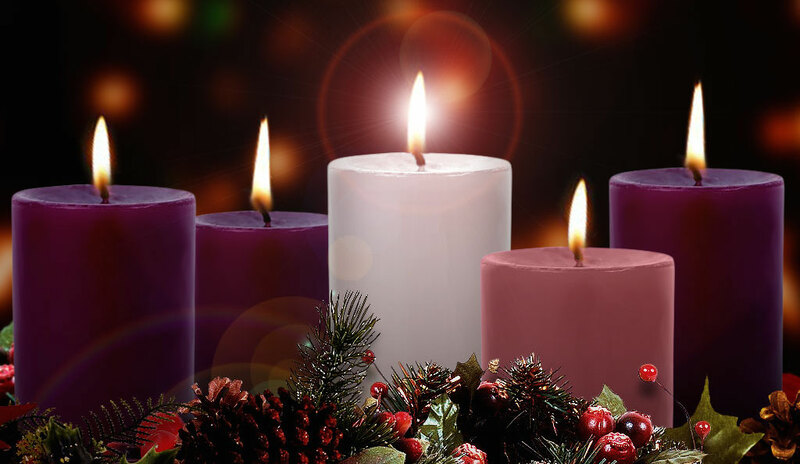 The other aspect I have missed is the ritual of Advent and the anticipation it brings. Most of the churches I have been involved in throughout my life have participated in an Advent candle liturgy in the four weeks leading to Christmas Day. This act, often including a song, some words and the visual of the candles being lit each week, has a way of preparing me and building the anticipation for Christmas and all the meaning it holds. All this being said, I am still super excited about Christmas. I will probably still be up at the crack of dawn as I have been for many years now (much to my parents and now my children's disgust). Christmas has always been a time of surprises. It began with God surprising the world in the incarnation and it continues in how we find the Christ anew in the people we encounter during this special time. I was concerned that without the busyness of ministry Christmas might somehow lose its shine. Instead, I have more time to be present and just let it happen, rather than being the one who makes it happen. Happy Christmas to you all! !